The indian electric vehicle startup Emflux has showcased its new electric motorcycle the "Emflux model 1". 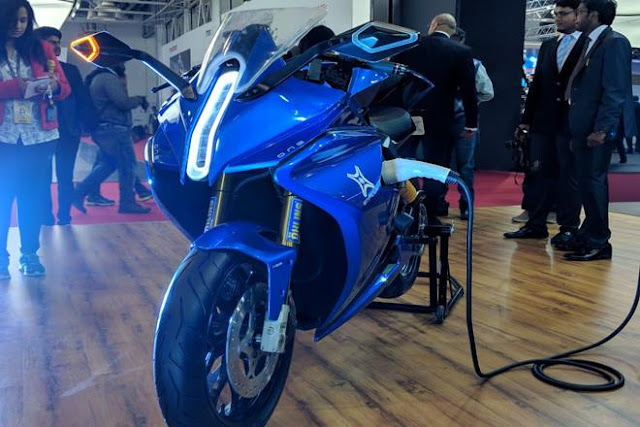 The Bangalore based startup Emflux claims that this motorcycle can reach a top speed of 200 Km/h. The Emflux model 1 is powered by a 60KW motor which produces a 84Nm of torque and emflux claims that it can go from 0 to 100 km/h in three seconds( with the optional carbon fiber panels). The figures are very impressive. The battery given in this motorcycle is made by Samsung. The battery pack can be charged up to 85 percent in just 30 minutes. The regular Emflux One gets 43mm upside down forks and a 46mm gas shock at the rear. The more expensive variant of the Emflux One gets upgraded to Ohlins Race and Track USD 43mm forks with adjustable preload, damping and rebound up front and 46mm Ohlins Monotube Gas Shock which also gets adjustable preload, damping and rebound at the rear. Braking duties are handled by dual 300mm Brembo disc brakes with 4 piston callipers up front and a 220mm Brembo disc at the rear. 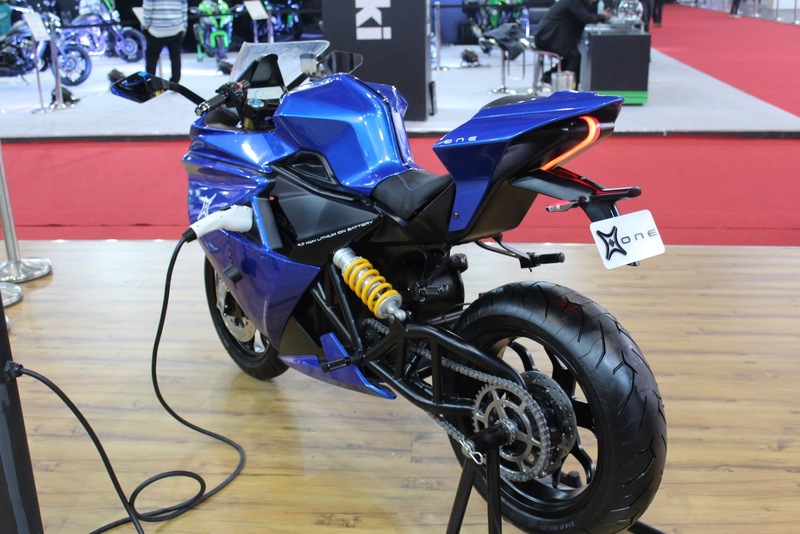 The regular Emflux One gets glass fibre body panels which can be upgraded to carbon fibre and the electric superbike weighs in at 169kh (kerb weight). The seat of the Emflux One sits 810mm above the ground. 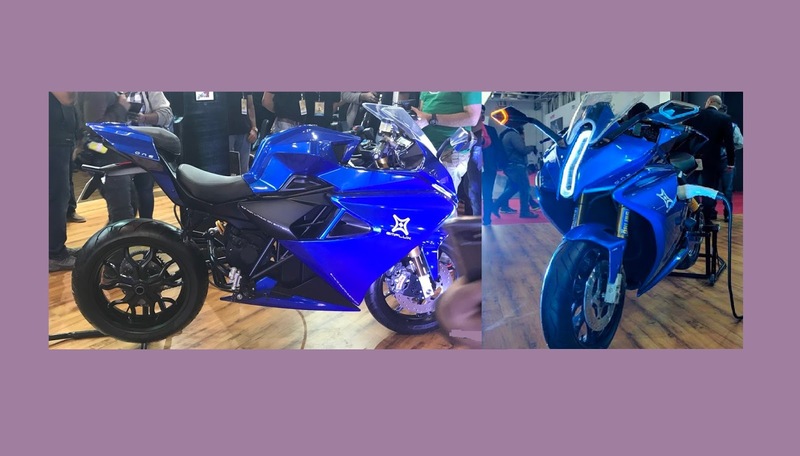 In terms of design the motorcycle looks awesome because it has vertical LED headlight and single taillight. The vertical headlight and the large fairing give the Emflux an aggressive yet rather futuristic look. Prices for the Emflux One electric Superbike in India start At Rs 6 lakh for the regular model. The Emflux One also gets a more expensive variant that gets Ohlins suspension, forged alloy wheels and ultralight carbon fibre panels and is priced at Rs 11 lakh (all prices mentioned are ex-showroom). 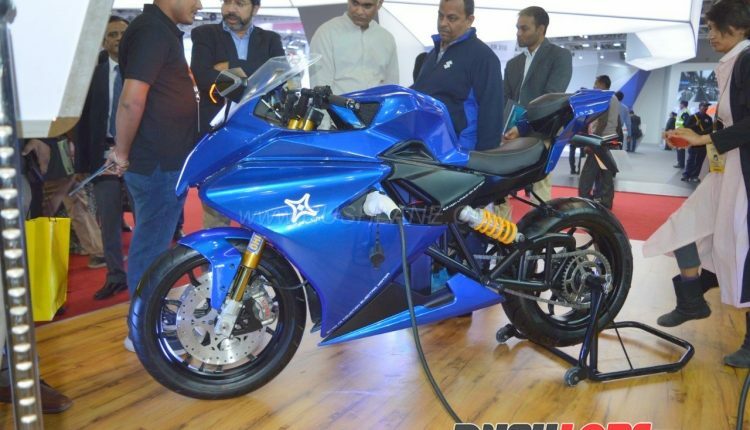 Emflux will only make 199 units of the One electric superbike for Indian roads, with another 300 will be sold abroad.